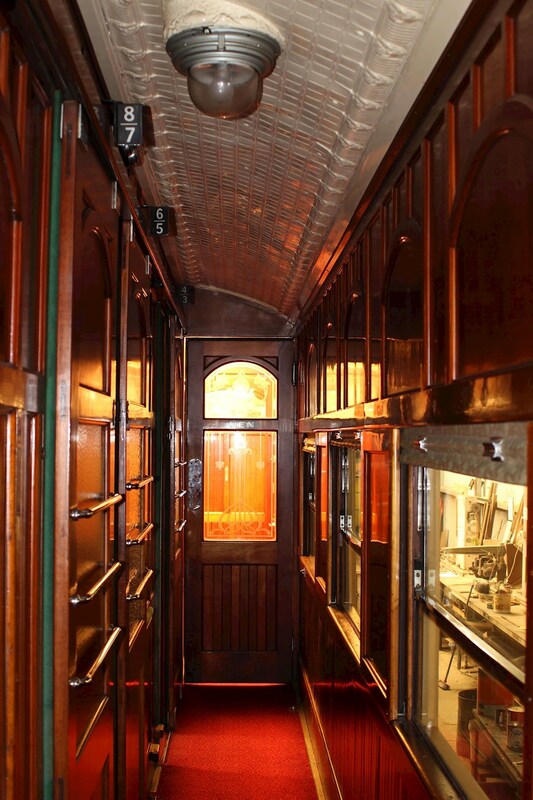 Take a step back in time on the Melbourne Express railcar, powered by a mighty steam engine. There’s something magical about the sound of a steam engine chugging its way across the countryside and the unmistakable toot from its whistle. 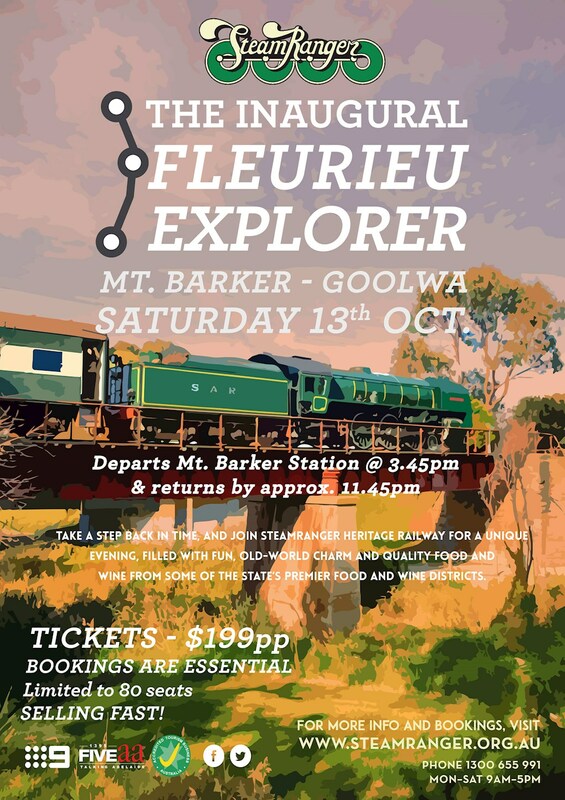 This October, you can be treated to SteamRanger Heritage Railways’ inaugural Fleurieu Explorer return service from Mount Barker to Goolwa – certain to be the ultimate loco-culinary affair. Guests will enjoy local produce platters and drinks on board the rarely used Melbourne Express railcar. With its distinct timber panel features and leather seats and individual ‘sleeper’ compartments, small groups will enjoy the intimacy and glamour of yesteryear. After arrival at the Goolwa station, guests will be transferred to One Paddock Currency Creek Winery where they will enjoy dinner and have the chance to wine-down. Guaranteed to receive award winning service (after all, SteamRanger Heritage Railways have been nominated for a SATIC South Australian Tourism Award), this will certainly be a trip to remember. This is a special service, so numbers are limited. The Fleurieu Explorer runs Saturday 13th October 2018 - Book your ticket now.